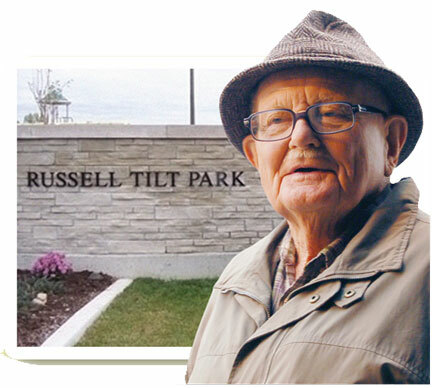 Russell Tilt, who passed away in 2014, was a Life Member and Past President of our society, and has a local park named in his honour. In conjunction with Evergreen Brick Works, a national charity, our society members have the opportunity to participate in a tree planting and stewardship event at the Russell Tilt park on Thursday, August 27, from 6 to 8 pm. This special event includes maintaining planted trees and shrubs by mulching and weeding. Evergreen events are a great opportunity to contribute to the local community and create beautiful green spaces for enjoyment throughout the community. Evergreen provides all the necessary equipment and training, offers assistance where needed and provides water and snacks throughout the event. This event will run rain or shine. Please dress according to the weather, wear closed-toed shoes and long pants. Russell Tilt Park is located in the northeast corner of Regatta Avenue and Blackforest Drive, west of Yonge Street. An Evergreen representative will greet you at the park entrance on the east side of Blackforest Drive.